Are you bored yet of my ramblings on romance in teen literature? I hope not, because I still have more to say. This time, I'm applauding authors for including break-ups into their storylines. This has mostly happened within a series mid-way through. I kind of like that. Shakes things up and is a surprise to the reader, especially if readers become overly emotionally attached to these two people as a couple and are rooting for them. Here are a few of my favourite break-ups that I've come across recently during my travels in YA fiction. Please look away now if you don't want to see spoilers. When Nash and Kaylee broke up I felt like the planet had shifted slightly on its axis. I read reviews afterwards and people were all 'I never believed in Nash and Kaylee's relationship to begin with' and I was surprised and taken aback. I believed in it! Sure, Kaylee always felt slightly insecure with where she stood with him, but I didn't think they'd break up. I thought they'd talk about it, I thought they'd reassure each other. And the reasons behind their break-up broke my heart. There was ugly crying going on when we learnt of Nash's addiction and the price that he paid for his addiction. Excuse me while I go weep into my pillow. P.S. The same thing happened when Willow and Oz broke up - I thought I would never recover and then Tara came along and everything felt like it'd happened for a reason because OMG Willow and Tara are so beautiful and perfect together. Just like my feelings for Kaylee and Tod. This series is ongoing and has a huge Carter fanbase so I'm risking the wrath of fangirls worldwide by including Allie and Carter on this list. Don't hate on me! I actually really love the way in which Carter and Allie's relationship has progressed. There was that great build-up and chemistry between them in the first book. And then the people who they are kind of get in the way of their relationships. Insecurity and anxiousness led to this relationship not being quite as great as they both expected it to be. There was suffocation and unhappiness going on here and that does not make for a successful romantic relationship. I loved seeing the hurt feelings and jealousies that have happened as the series goes on both Allie and Carter have taken steps to forgive each other and move on. Mumblings from the author on Twitter suggest that this Allie and Carter story arc might not be quite finished as yet though... Ooer. 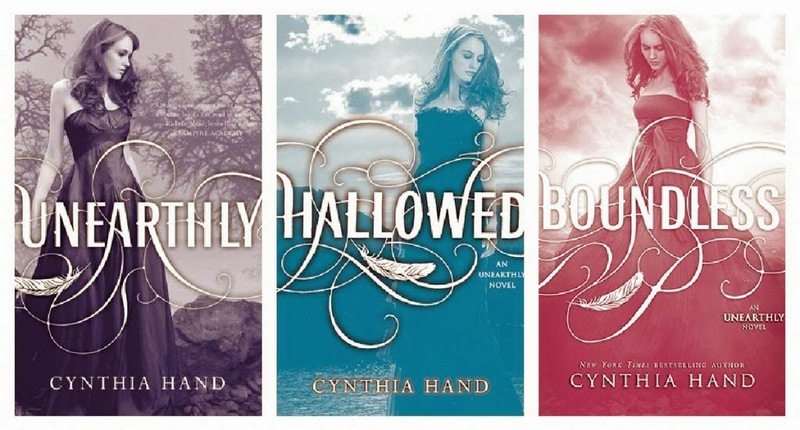 I'm in awe of Cynthia Hand her amazing YA trilogy. The Unearthly series is about *angels* you guys. I strongly dislike reading about angel creatures. And yet when Cynthia Hand does it, it makes me excited. Mostly because I've loved the way in which she has portrayed romantic feelings in the first two books. In Unearthly Clara forms this huuuuge crush on Christian but after spending time with Tucker, she begins to appreciate an actual relationship based on two people getting to know each other and spending time together and can see how unrealistic her crush on Christian is. For that alone I'd adore this series. But then she goes on in the sequel to show how even though Clara and Tucker care a great deal about each other, things just don't always work out. 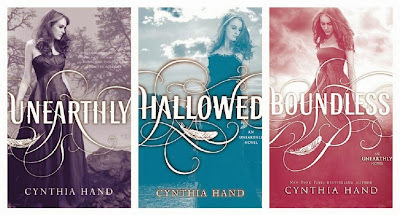 I applaud you, Cynthia Hand! 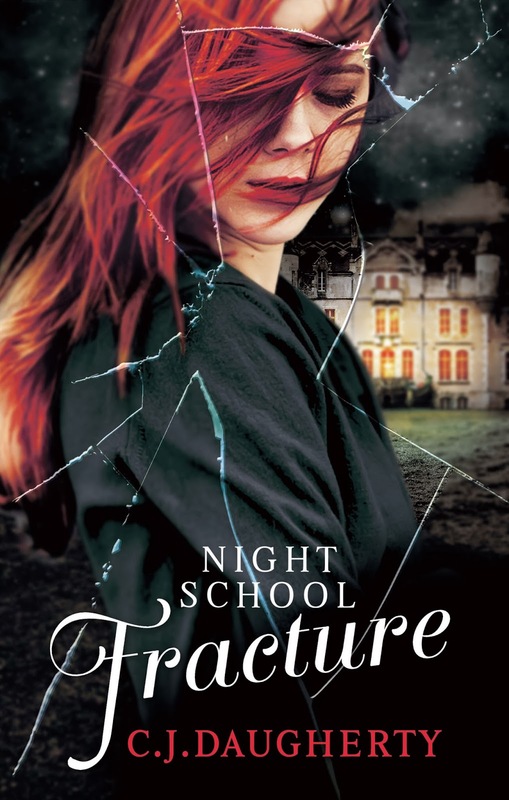 By the way, I've included a photo of the US covers of this series because *sobs* the third book in the series was not picked up to be published here in the UK and as such, I have not yet read it. Do you have any favourite break-ups in young adult literature? I'd love to hear about them! I've only read the first in the Soul Screamers series and didn't like Nash and Kaylee's relationship much, not really sure why, I'm sorry to say! But I don't like it when characters like more than one person (as unrealistic as that is) but more importantly when they're unfaithful. Must be the romantic in me that hates stuff like that! I'm with you, I'm not fond of cheating in any story format! Man, I don't remember the last time I read a break-up... I totally agree with Anya about the cheating though; that'd put me off the characters and sometimes severe any connection I had with them. After I posted this, I remembered that I really liked the relationships in The Moon and More by Sarah Dessen as well. I really hate break-ups in YA! Especially when I really love the two characters when they are together! Honestly, I didn't really like My Soul to Take so I'm not really bothered by them, but I'm going to being reading Unearthly soon and AHHHHHH! I had to skip that bit but now I'm scared about what's going to happen! Oh, where as I LOVE them, Rita. I definitely want to see a move towards portraying more realistic relationships in YA. I despise those couples who stay together forever because they're soul mates/their love is too strong to break etc. They bore me. Give me break-ups anyday. Really, the only ones I can think of are where one character dies. Does that even count? I don't think that counts, no :) Because they aren't breaking up by choice!